PLEASE NOTE THAT ENTRY FOR THE XMAS PUDDING RUN 2018 WILL BE OPEN FROM 01/09/2018. 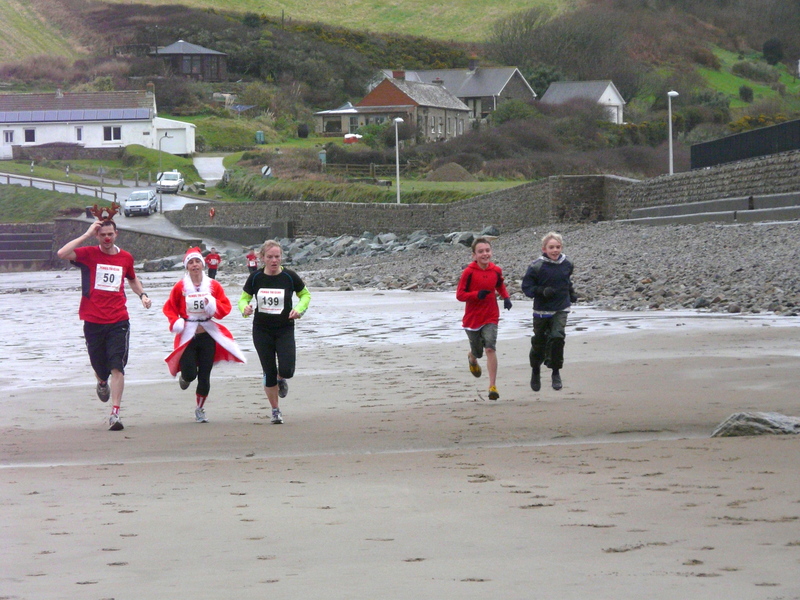 This year’s Broad Haven Xmas Pudding Run will be taking place on Sunday 9th December 2018 at 12pm. 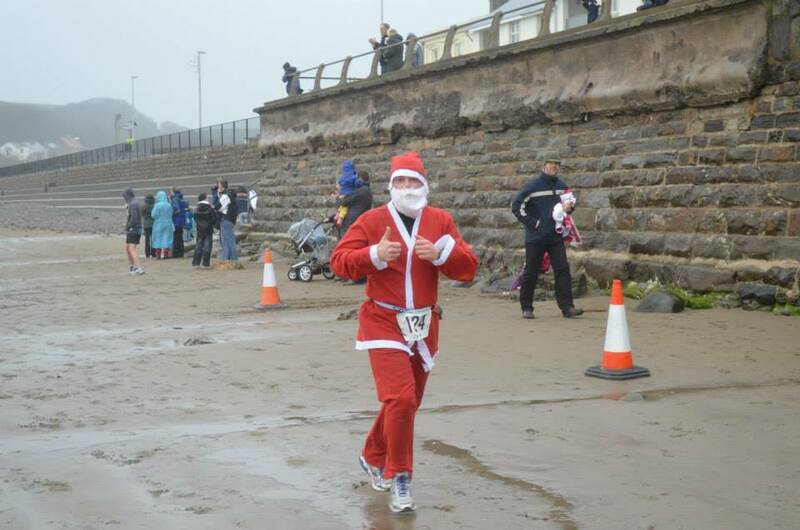 It is a 10km (approx) road run from the beautiful village of Broad Haven. 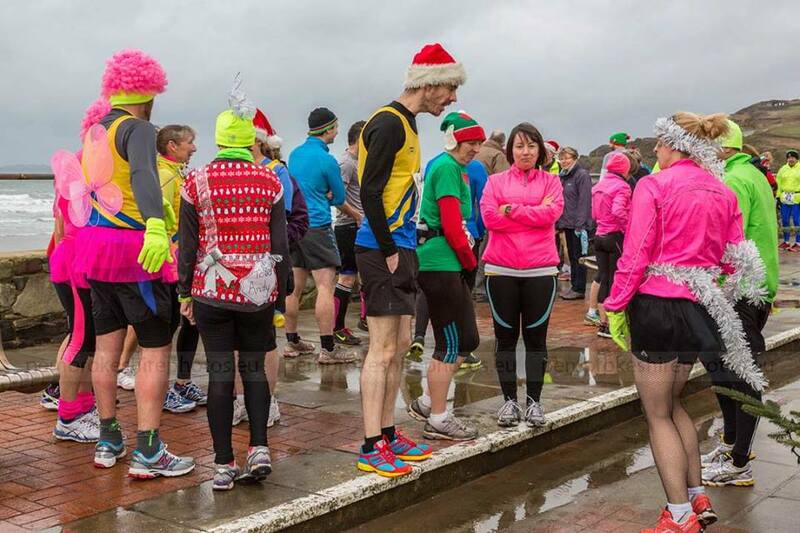 All entrants will recieve a Christmas pudding and medal on finishing the run. 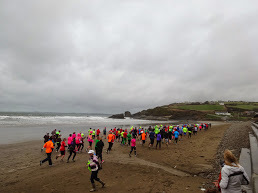 The event is licensed by the Welsh Athletics Association (WAA) and will be measured to as close as we can get to 10km (as it it classed a “multi terrain”). 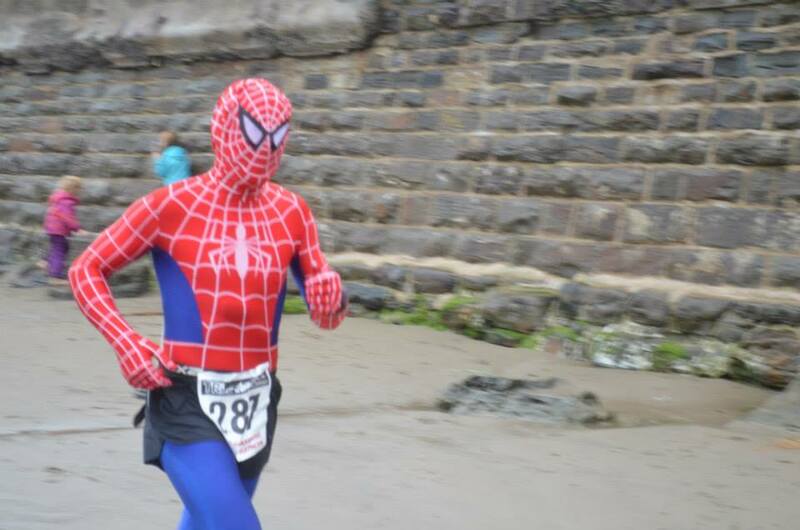 Fancy dress is optional… see the gallery of last year’s event for inspiration. All proceeds from the run will go directly to our nominated charities including Prostate Cymru in memory of our former Pudding Run marshal John Hart. This year, a donation is being made to Surfers Against Sewage, in memory of Rory Bernays. A passionate surfer and windsurfer, for Rory the call of the sea was almost as loud as the man himself. By helping to keep the coast clean, we’ll be not only benefitting the sea’s inhabitants, but also those of us who love it so much. 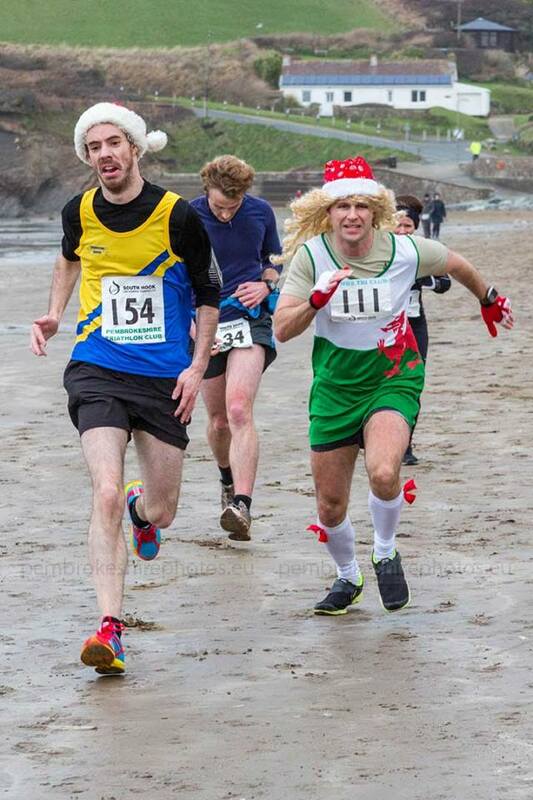 Every runner will receive a Christmas Pudding on crossing the finish line and the Ocean Cafe Bar has kindly agreed to host the event again, so there will be complimentary mulled wine and mince pies for all entrants after the run. There will be prizes for the 1st Male and Female runners in each age category and also for the “Best Dressed Runner”. This year marks the return of our “Race Number Raffle” – race numbers will be collected at the finish line and be drawn at the prize giving, so that everyone gets a chance to win some fantastic prizes. 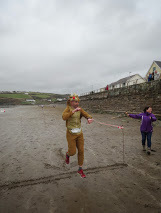 We are also hoping to have children’s races on the beach at 1.30pm. This was a great event last year, but will obviously be weather dependant. There will be a medal for every child. There will also be best dressed runners prizes up for grabs. Entry will only be £2 for this on the day (registration will be in the Ocean Cafe between 9am and 1pm). Age categories for this are 0 to 11 years old. Parents will be responsible for their own children during these races. Any businesses who sponsor the event will be featured in our advertising and on a thank you banner which will displayed on the day of the event. 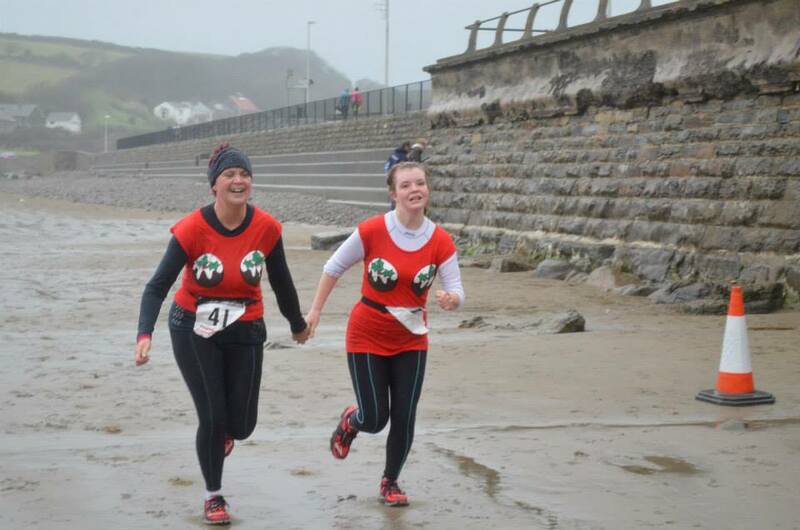 We have a facebook page – Broad Haven Xmas Pudding Run – for up to the minute messages, discussions and photos of previous events.